Low futures volume and low share volume with the NYSE trading just 3.5 bn shares left a fairly narrow range. 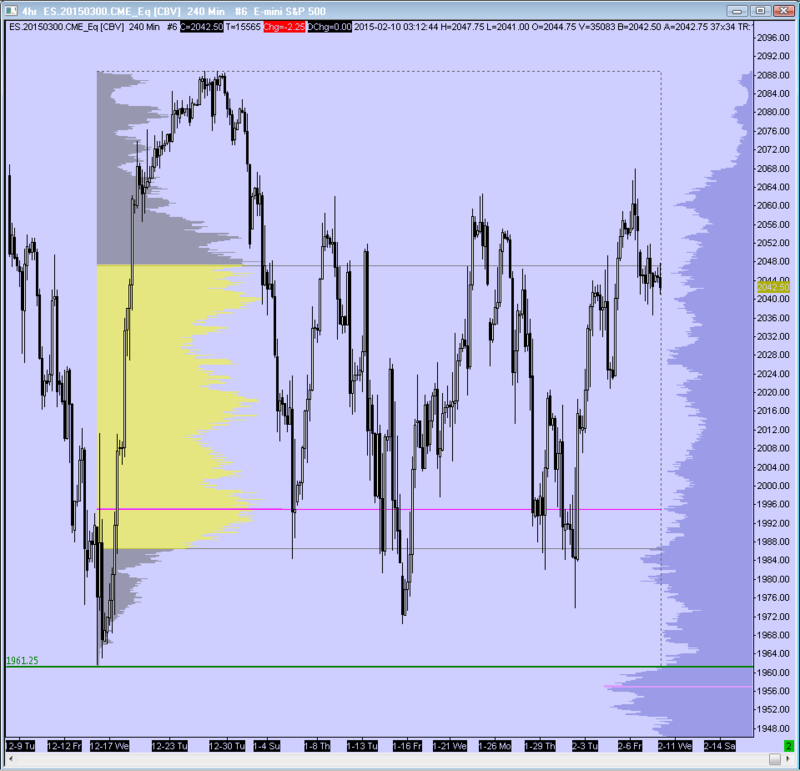 The early low of the RTH session was poor and had a high chance of being retested after the overnight high was taken out but could not be held above. The market is in a difficult zone to trade currently after the failed breakout on Friday. The bias is to sell rallies after that failed breakout attempt and now it is back within the value area of the current range. Below 2040 there is a high volume area between 2026-29.50 as initial potential support and 2030.50 the initial target (last Weds settlement).